Diabetes and use of the Laeq Health; more than just reducing medication! 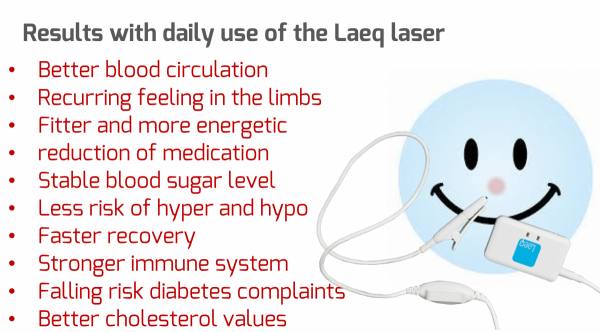 The methodology of Laeq Health means that we improve the blood in all elements by means of a protocol-based and scientifically based method with low level laser therapy. Without medication, without side effects and with many benefits. You can read all about it on our website. The Laeq Health 3.0 is not specifically developed for diabetes. However, since our start we have received more and more satisfied users that the glucose levels in their blood improved, they got more energy, less medication and felt fitter. In addition, the glucose values ​​improved on average throughout the day. As a result, the risk that someone with Diabetes is not feeling well due to a too high (hyper) or too low (Hypo) blood sugar level is greatly reduced. A number of users have also written a review about this. With the help of our medical advisor we then followed our own customers and we found the same results. This, as in everything, we have fully scientifically substantiated. The conclusions we can draw is that the specific Laeq Health application by the protocol and the technique is of great value to every diabetic patient. And important: It is more than just reducing medication! 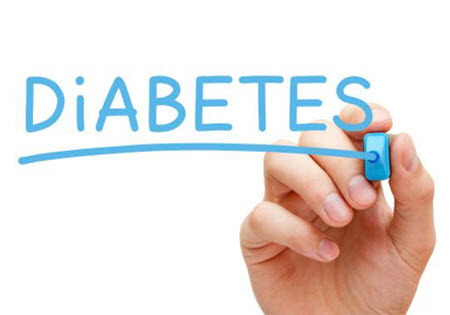 Diabetes is a group of metabolic diseases in which someone usually has a high blood glucose. This is possible when insulin production is inadequate, but also because the cells of the body do not respond well to insulin, or both. Diabetes of both type 1 and type 2 are characterized by high blood glucose levels. When this is the case for a longer period of time, serious complaints can arise, such as problems with feet, nerves, eyes, stomach and intestines, heart and blood vessels, kidneys, brains, sexuality and, not least, fatigue. HbA1c, Hemoglobin A1c or glycated hemoglobin is a form of hemoglobin produced by the saccharification of the α chain of the hemoglobin molecule. In the blood a glucose molecule (non-enzymatic) binds to the N-terminal amino acid of the β-chain of hemoglobin. This means that the glucose molecule binds to the hemoglobin molecule in the red blood cell. This creates a sugar layer around this hemoglobin molecule. As a result, the absorption capacity of the red blood cell is reduced. The flexibility, deformability, of the red blood cell decreases so that it can not enter the small capillaries any more. The viscosity also decreases and the blood becomes more viscous. This also increases the effort for the heart. The circulation of organs and extremities decreases (including Diabetes Mellitus), including in the pancreas. The pancreas is again responsible for insulin production. On balance, the organs get fewer nutrients and oxygen and will therefore function worse or less. As a result, the pancreas also produces less insulin. The Laeq Health method leads to positive effects for diabetes patients in accordance with scientific research. Effects that users of the Laeq Health actually experience. Scientific studies have shown that the improvement of systemic homeostasis, blood properties (such as viscosity), immune system and microcirculation in intranasal laser therapy have a direct positive effect on diabetic disorders and symptoms. However, the effects continue. Regular stimulation of the immune and homeostatic factors can not only help prevent the onset of diabetes but also improve other conditions that may have already started because of diabetes. The basis is that the immune system is rapidly strengthened by the mitochondria, the batteries in the cells, being recharged. In addition, the red blood cells are stimulated in a natural way to process more and better oxygen but also to be able to dispose of better waste products. All this is stimulated again because the viscosity of your blood is improved. We can also explain it even more simply because our method is comparable to photosynthesis, a completely natural process. Why does the Laeq Health work with diabetes? The Laeq Health is a laser device of only 5mW with specific diverging lens. If the molecule of hemoglobin is compared with the molecule of the leaf green grain, it is 92% identical. It is well known that plants can convert light into energy, photosynthesis. The red blood cell is able, like the leaf green granules, to absorb the energy of our specific laser. As a result, the sugar layer is broken down and the red blood cell can function normally again. The flexibility of the red blood cell is improved, so that it also comes back into the small blood vessels. As a result, a better transport of oxygen and more energy, making people feel fitter and recover faster after efforts. But above all, it has a positive effect on all body functions. Various theories have been investigated in science about the mechanisms that arise when applying low level laser in the Laeq Health way. Homeostatic rebalancing. Diabetes is a case of an imbalance in homeostasis, in this case the blood glucose level. Studies show that systemic homeostasis is stimulated when using the laser method. Low level laser is capable of improving aggregation of red blood cells (RBC). Blood flow dynamics and circulation are improved. The immune system is strengthened. The release of Nitrogen monoxide (NO) is stimulated, this promotes the release of insulin. There is an inhibitory effect on the production of the enzyme Myeloperoxidase (MPO), which leads to fewer complaints. Laser therapy stimulates the release of the enzyme superoxide dismutase (SOD). The laser light stimulates the macrophages (white blood cells in tissues) to make SOD. SOD is an anti-oxidative enzyme that has a positive effect on the improvement of diabetic disorders. The core of low level laser is that it leads to Photobiomodulation, it leads to ‘energizes living systems’. 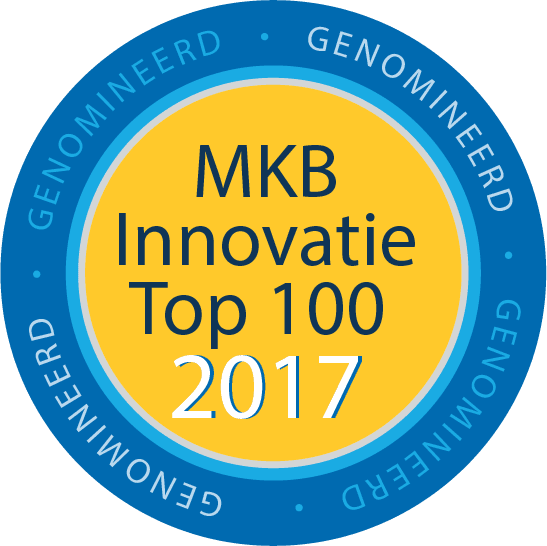 In the scientific literature many effects such as biostimulation, tissue regeneration, ‘antimicorbial effect’, strengthening of the immune system, anti-inflammatory and analgesia have been extensively documented and investigated. The laser light is capable of stimulating the biological functions of virtually all cells, tissues and systems and providing vital energy. It stimulates the self-healing ability of the body and thus your life.